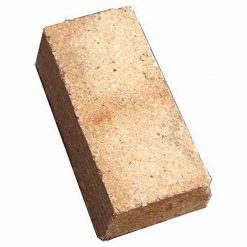 Fire bricks, including firebrick squares and brick splits are dense clay bricks that are specially made high temperatures. 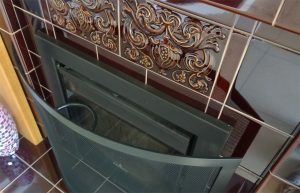 Taking care to choose the right materials is extremely important when it comes to taking on a big home improvement project like the creation or renovation of a tile fireplace. 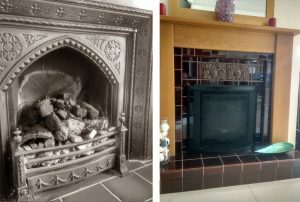 Standard bricks are not suitable for use with fireplaces as they have a much lower temperature resistance, and it is for that reason that specially manufactured bricks are used for this particular purpose. 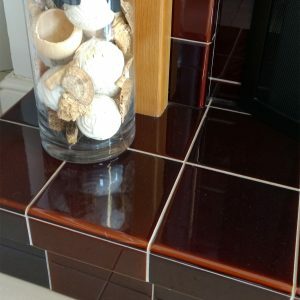 The firebricks we manufacture are available in various shapes and sizes to fit your available room and are intended for use in home applications like fireplaces, circulators, stoves, barbecue grills, pizza ovens, furnaces and inserts. Designed to withstand extremely high temperatures, the firebricks we supply are rated to 1100oC and are made of fire clay. What is a "Fire Brick"? Fire brick was first invented in 1822 by William Weston Young in the Neath Valley of Wales. 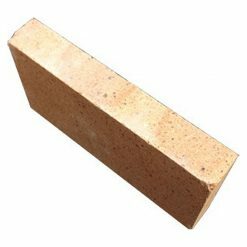 A fire brick, firebrick, otherwise known as refractory brick is a block of refractory ceramic material used in lining furnaces, kilns, fireboxes, and fireplaces. "Refractory" minerals are defined as being those that are resistant to decomposition by heat, pressure, or chemical attack. Most frequently, the term relates to minerals that retains their strength and form even at high temperatures. ASTM C71 offerer the following definition of refractories: "...non-metallic materials having those chemical and physical properties that make them applicable for structures, or as components of systems, that are exposed to environments above 1,000 °F (811 K; 538 °C)." While FireTile manufacture and provide fire bricks for domestic applications only such as fireplaces, pizza ovens and so on, firebricks are also used (with special mineral compositions) for all kinds of industrial purposes. A refractory brick is built chiefly to endure high temperatures, but will often exhibit a low thermal conductivity which leads to greater energy efficiency. 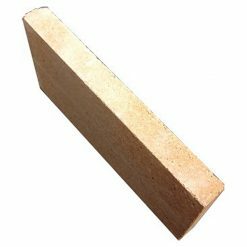 Dense fire bricks are usually used in applications with severe mechanical, chemical, or thermal stresses. 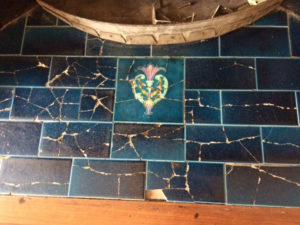 Typical situations include the inside of a wood-fired kilns or furnaces, which are often vulnerable to abrasion from wood, fluxing from ash or slag, as well as extremely high temperatures. In other, less demanding situations, for example, in an electric or natural gas fired kiln, more porous bricks, commonly known as "kiln bricks" make a better choice. 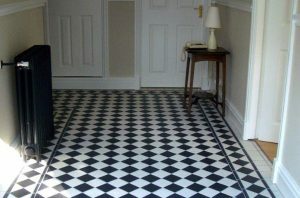 They are less robust, but they are lighter, easier to form, and insulate better than dense fire bricks. In any case, firebricks should not spall, and their strength should hold up well during rapid temperature changes. In producing firebrick, fireclay is fired in the kiln long enough so that it is partly vitrified. For special purposes may also be glazed. 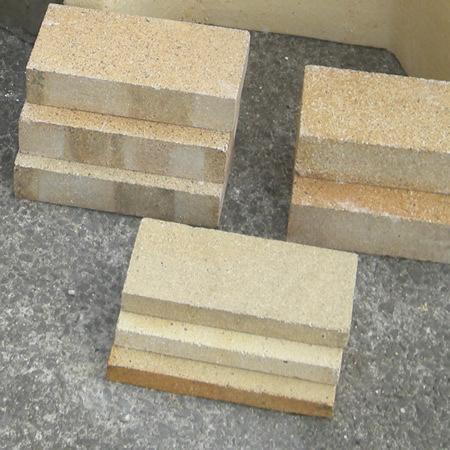 Fire brick has an aluminium oxide composition that can be as high as 50–80%, with correspondingly less silica. Certain industrial applications require firebricks that withstand extremely high temperatures, for example, the silica firebricks that are used to line steel-making furnaces need to endure temperatures of up to 1648°C (3000°F). These severe conditions would melt many other types of ceramic bricks, and in fact part of the silica firebrick liquefies. Interestingly, High-temperature Reusable Surface Insulation (HRSI), a material with the same composition to these silica firebricks, was employed in producing the tiles of the Space Shuttle! 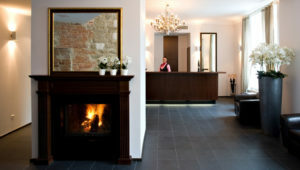 Lower temperatures provide a greater range of possibilities for the composition of fire bricks. 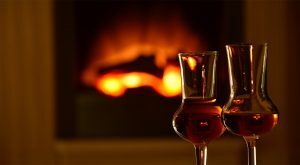 For this reason, a range of materials find use as firebricks for lower temperature applications. 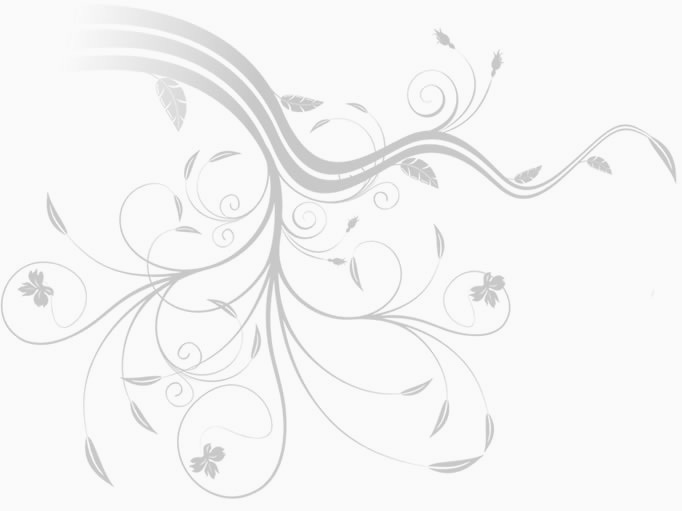 For example, magnesium oxide is frequently used as a lining for furnaces. Silica bricks are the most common type of fire bricks made use of for the inner lining of furnaces and incinerators. As the inner lining is usually of "sacrificial" nature, fire bricks of higher alumina content may be employed to lengthen the duration between re-linings. Cracks can often be seen in this sacrificial inner lining shortly after being put into operation. Silicon carbide, with high abrasive strength, is a popular material for hearths of incinerators. 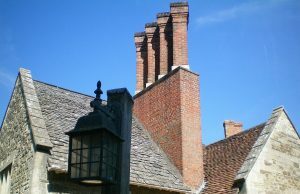 Common red clay brick are used for chimneys and wood-fired ovens.